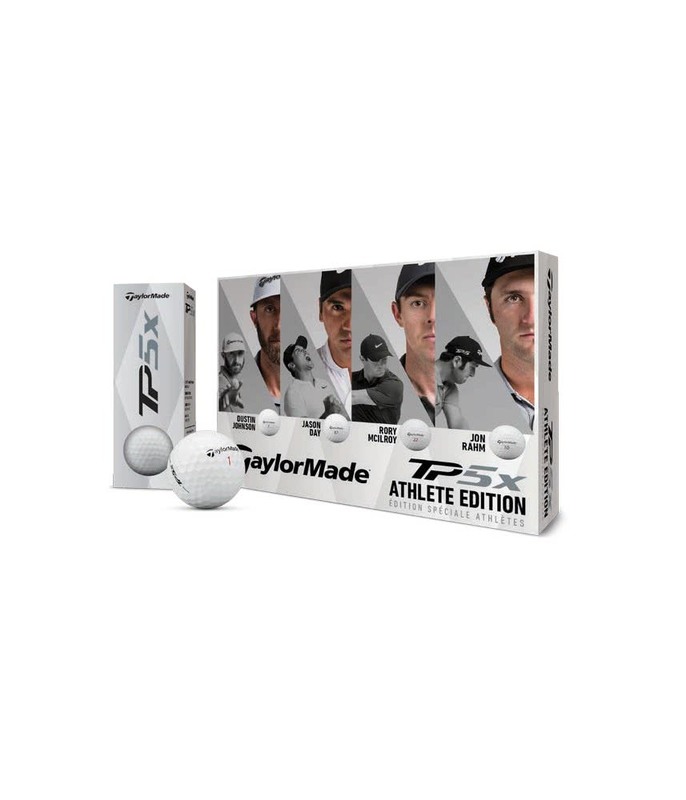 The TaylorMade TP5x Athlete Edition Golf Balls provide you with a sleeve of the exact balls the Rory McIlroy, Dustin Johnson, Jason Day and John Rahm use on tour. The TaylorMade TP5 X golf ball features a 5-layer construction that has been developed to perform with every golf club in your bag. 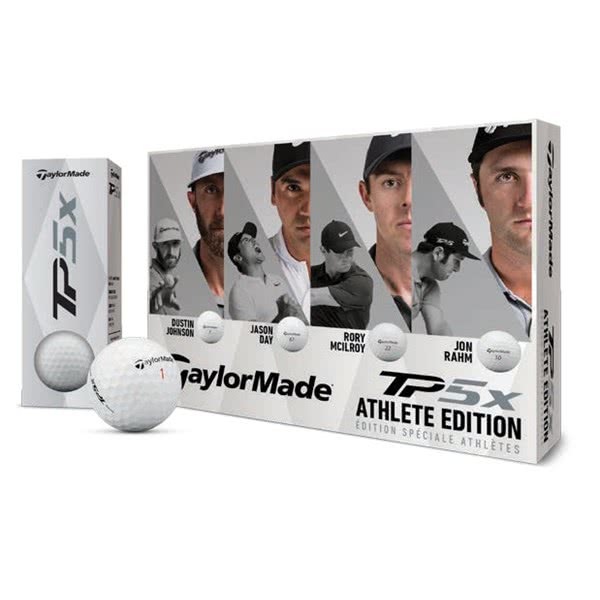 TaylorMade have created the TP5 X golf ball to launch higher and feel firmer and will generally be preferred by faster swing speed golfers. Developed using a new Tri-Fast core technology that will give the ball progressive compression and maximum energy transfer that leads to incredibly fast ball speeds of your longer clubs for enhanced carry distances. A dual-spin cover offers exceptional spin and control with from full wedges to short greenside shots. 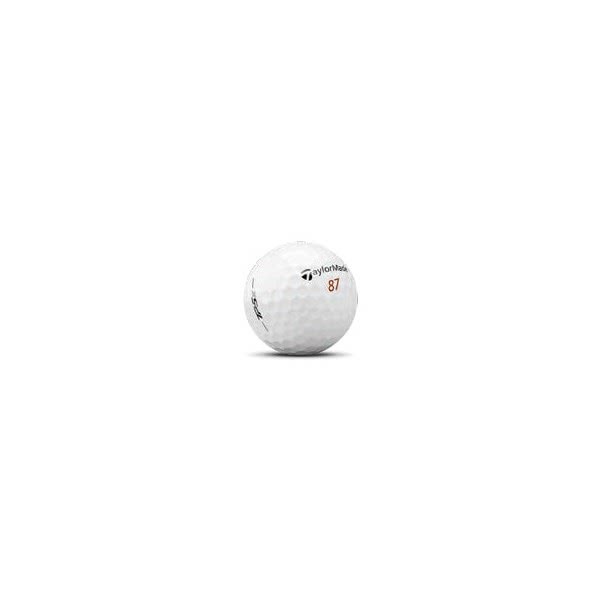 This has been achieved by using a ultra-soft cast Urethane cover and a semi-rigid inner-cover, these two covers maximise interaction and friction between the ball and the grooves of your club. 1x Rory McIllroy, Dustin Johnson, Jason Day and John Rahm sleeve in each dozen. Each sleeve will feature that particular athlete's personalised Tour Ball Number on the ball which they and they only have.